To present your research! If you are planning to do anything after you graduate, you should be doing some type of research! It shows you do more than go to class, it shows you have worked with a professor in the lab, it shows your ability to design and carry out a project, and it shows your ability to convey your experiment to an audience. Network! At ANY conference you should be handing out business cards, C.V.’s or resumes. Whether it’s a business card to another student in your discipline or a judge, or a resume to a summer research program or potential employer, you should be jumping on the opportunity to get your name out there! I’ll call this one the bonus reason…. number 3. It is so motivational to attend a conference. We all know how easy it is to get overwhelmed half way through the semester. We have all travelled down the rabbit hole that is too many papers, quizzes, assignments and exams, and lost sight of the rest of well…life. Attending a conference lets you break up your schedule. It forces you to see your path from another angle, and it can be extremely rewarding if you are willing to seek it out. I recently attended ABRCMS, the Annual Biomedical Research Conference for Minority Students and I cannot express how refreshing it was to witness the truly inspirational stories of students at this conference. The speakers were phenomenal. The career and academic resources were thoroughly informative. I met other researchers in my field and even a few potential employers. I was also very encouraged by the responses I received from potential graduate programs when I told them my (non-traditional) academic story. I feel renewed in my pursuit of graduate school and so grateful that I was able to attend this conference and meet so many amazing people. So, if you have the opportunity to do research (and even if you don’t…) DO IT. If you have the opportunity to present your research, DO IT! Using argparse, here is the python code for importing the above Blosum50 text file into a referenceable dictionary. From here, you can read in protein sequences and get the scores for each amino acid match using the dictionary you created, and likely do some more calculating, but this should get you started! https://github.com/cjthomasson/SmithWaterman, this project finds the alignment and max score for two protein sequences. 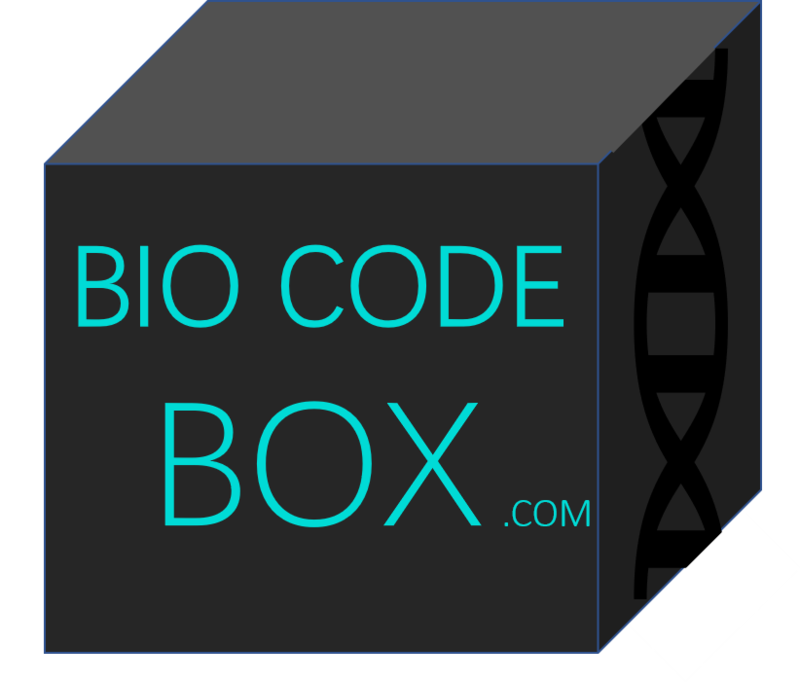 I think the first blog post is the hardest, so I’ll start with the basic goals for BioCodeBox. To keep it simple, this is intended to be a box of tutorials for learning to code. Conceptually, the lessons will be applicable to many different kinds of data, however processing biological data puts a fun flavor on things. You will learn that coding concepts are often transferable between languages, fields, and sub-fields once you understand them. Realizing and developing the ability to apply concepts over syntax will make you a more dynamic and marketable programmer. You can analyze traffic statistics with some of the same tools you would use to analyze disease statistics. I will also include some genetics, molecular and cellular biology tutorials as needed, or just when I get tired of boring data! A little about me– Bioinformatics is what gets me excited about coding and manipulating data; I have a never ending passion for learning, researching, analyzing and planning, which I have finally decided to put to good use!